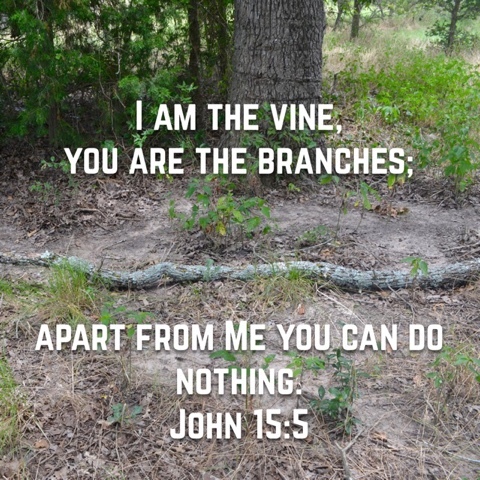 Last week I wrote about the Vine ... Jesus. 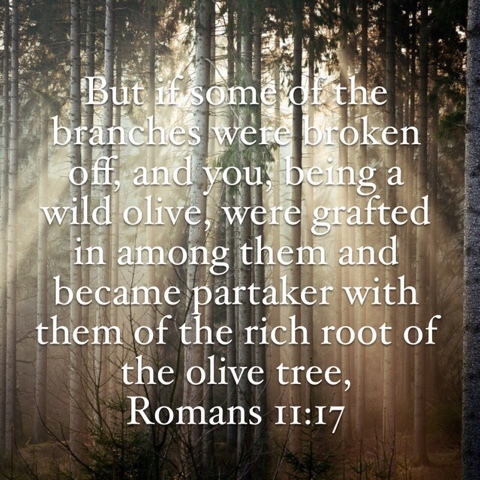 We are the branches. It's pretty simple. Without Him we are nothing in the kingdom. We may think we're somebody here on Earth ... but in God's kingdom our "good deeds" are as dirty rags. Not just dusty rags ... filthy rags that no one would want to touch. We have a lot of woods around our house, and fairly often I come across downed limbs like the one above. They are fruitless, devoid of leaves. Dry, and often rotting. They're pretty useless for much of anything. Too brittle for a walking stick, too rotted to build anything. The Bible says (I know I'm reiterating things I've already written about, but they bear repetition), that when we don't bear fruit we are cut off and thrown into the fire. I don't want to be that branch. I want to stay grafted into Christ, green and vibrant and bearing fruit in the kingdom even if I sometimes look ineffective here on Earth. Ineffective, unpopular, not politically correct, offensive ... it is all worth it here for the service to the King of Kings in Heaven. I am a wild olive. I wasn't naturally part of the family of God. I'm not a Jew, an Israelite, one of God's chosen children. 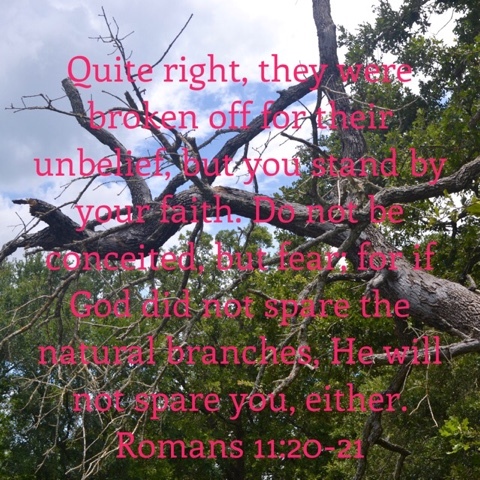 But by His grace, when the natural branches rejected Him ... He made a place for me to be grafted in. And instead of following my wild heart where it would go, I allow the gardener to care for me ... to shape me, to prune me. It isn't easy my friends. 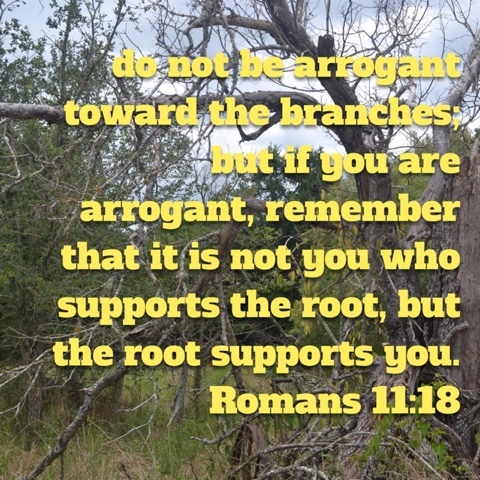 But I have found richness in His roots that I know I can't do without! What a gift! I never want to grow conceited like I did something to deserve this. I didn't. The vinedresser did it all and I have nothing but gratitude that all it took for Him to give me a place was my faith. Apart from Him I can do less than nothing. And anything I do in Him is FROM Him. I'm not doing Him a service ... He is serving me in the most backwards of royal relationships. Anything coming from me is simply an outpouring of gratitude from an unruly heart!